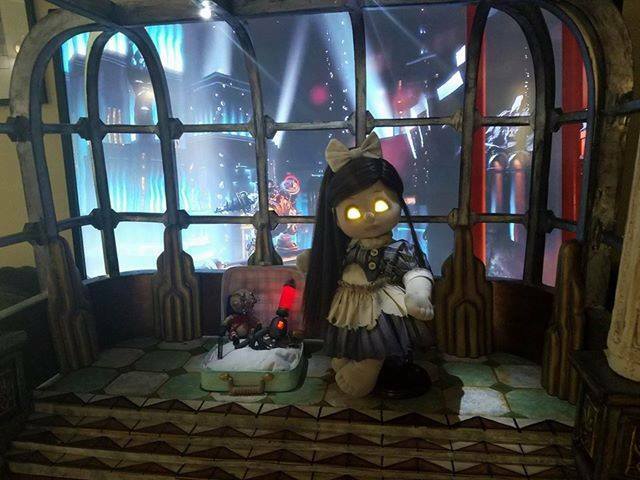 I don't remember the doll you showed. What was it? Not sure what you mean, Maureen - did I reference another doll? Help! Sorry, Jen. I missed you writing about your My Child doll. I don't remember these dolls at all. Are they hard to get, do you know? I know nothing about BioShock. Never played it; never seen it. My video games are original Zelda and Pokémon. Oof! Last I heard, My Child dolls were really expensive - like $100 or so? I'm not a My Child collector, but I'm curious about their take on this! 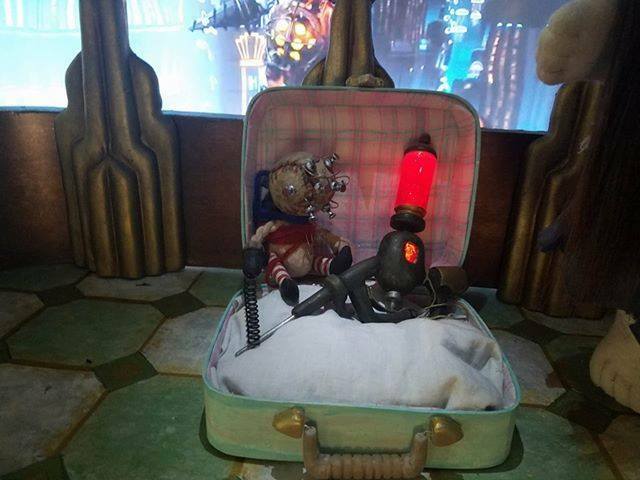 Obviously it's a lovely custom (and I love Bioshock, so I love her all the more! ), but I can't help but wonder if a slightly-less-rare base would have been a better idea, from a purely collector side of things! From a customizer side of things, wow!! Incredible workmanship!! 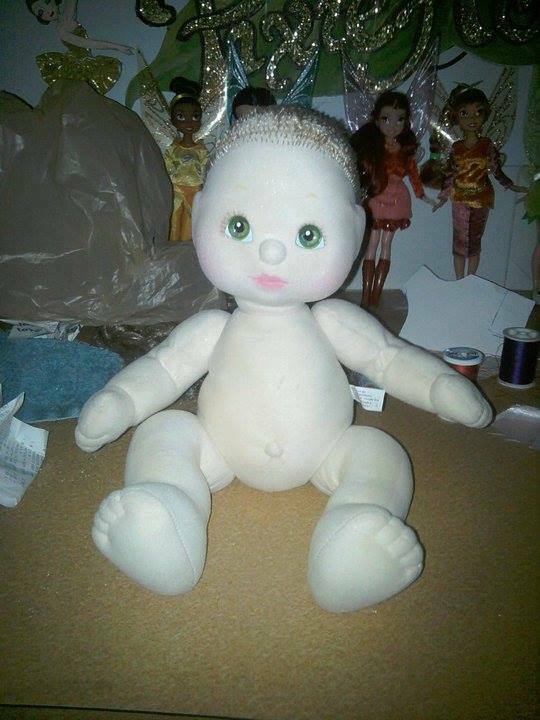 I used to have a My Child doll when I was a little girl! I remember she had green eyes, just like the one in the "before" picture. I think her hair was auburn. 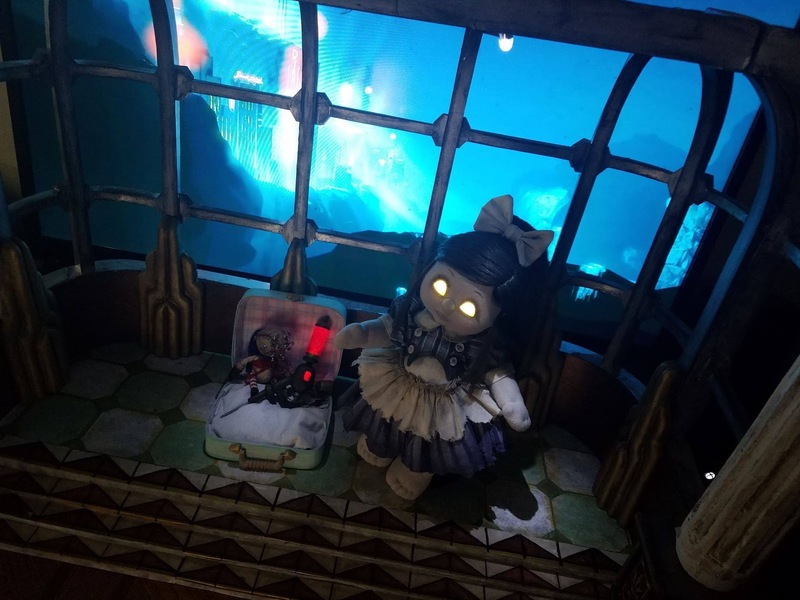 That's an incredible build by Kari, and putting the backdrop in front of the TV set was a really clever idea. 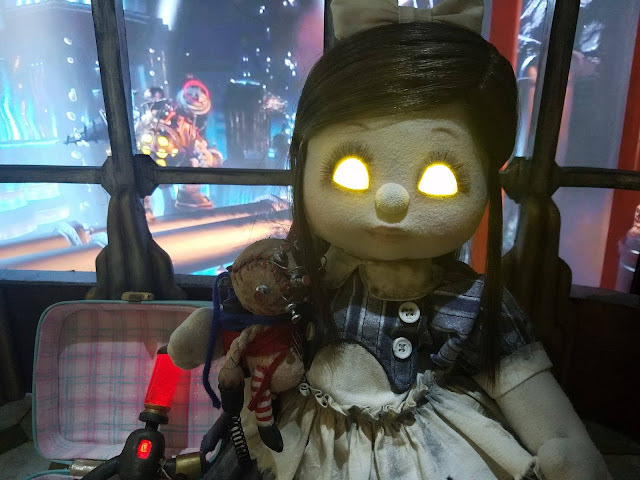 So, not to denigrate the amazing art and effort -- I'm truly impressed -- but ANY dolls creep me out so it's a hard "no" on this project for me. Like @June Marie, I was impressed with the display too and didn't realize that was a t.v. behind it. Wowzers! 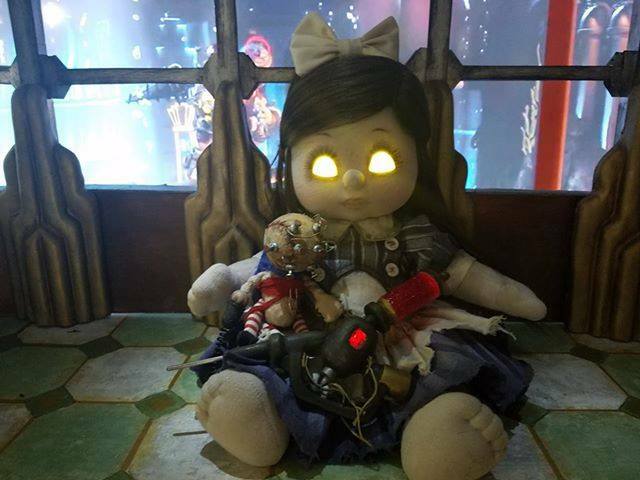 The doll, though, is adorable, and incredible, and awesome. And I'm not even a fan of dolls. 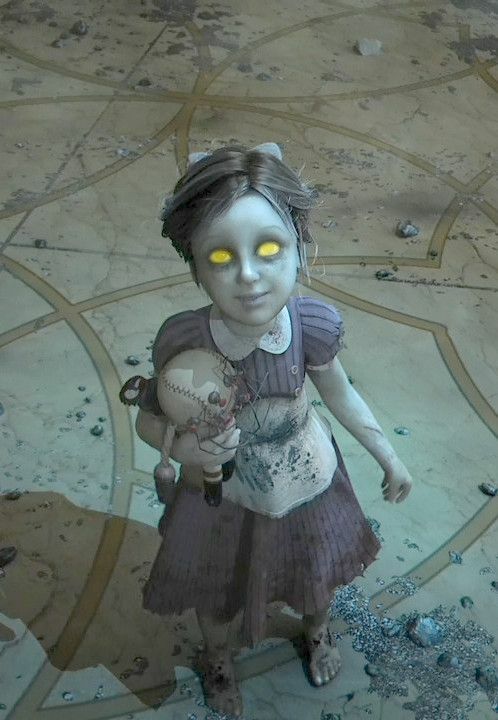 I /knew/ that was a My Child doll. I had one as a kid and their face is so recognizable. Sorta makes me wanna dig mine out if I still have it.